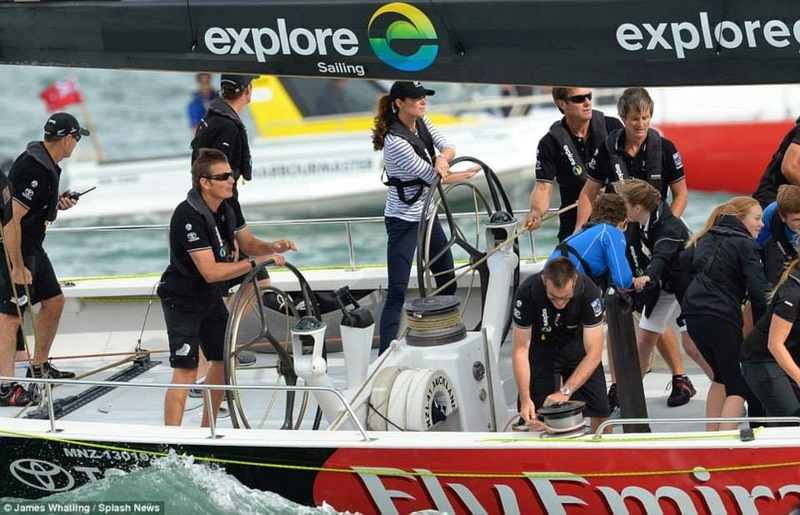 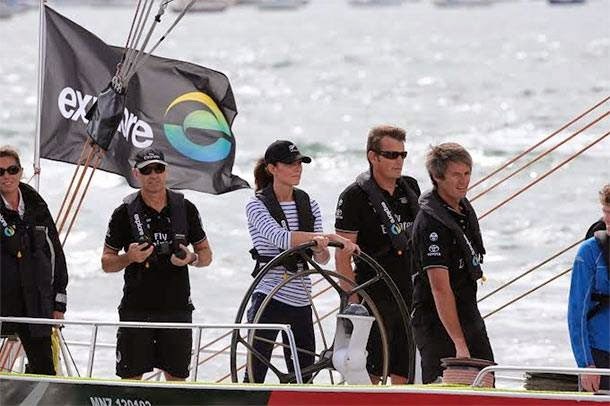 The Duke and Duchess of Cambridge on board a yacht with Emirates Team New Zealand America's Cup and sailing around the harbor of Auckland. 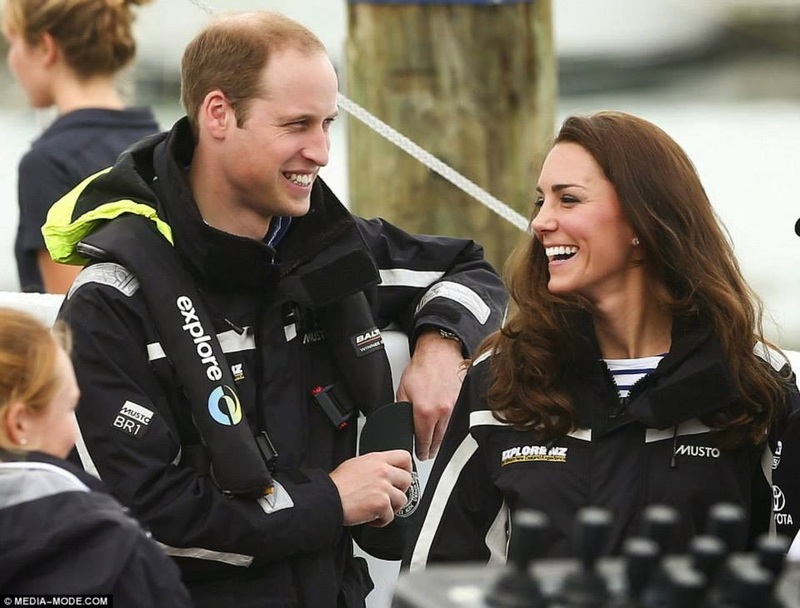 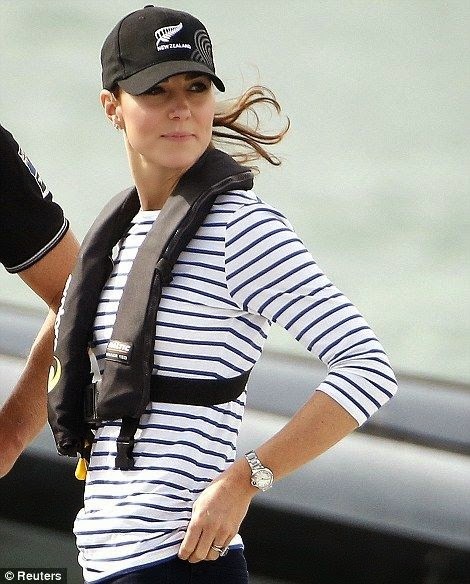 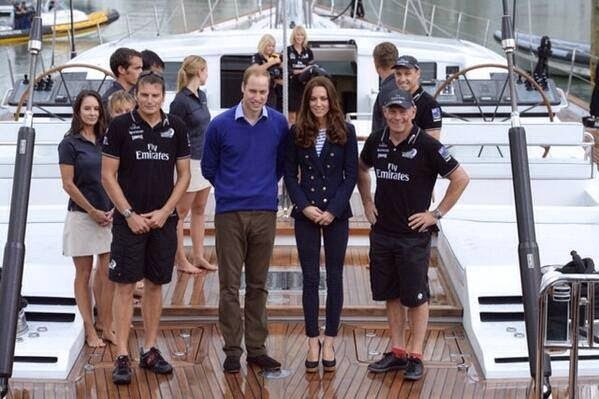 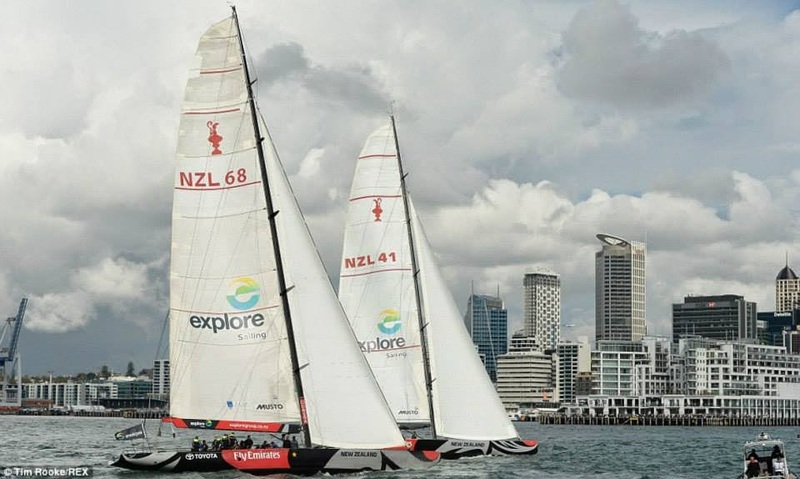 The Duchess thrashed her husband in a yacht race around Auckland Harbour. 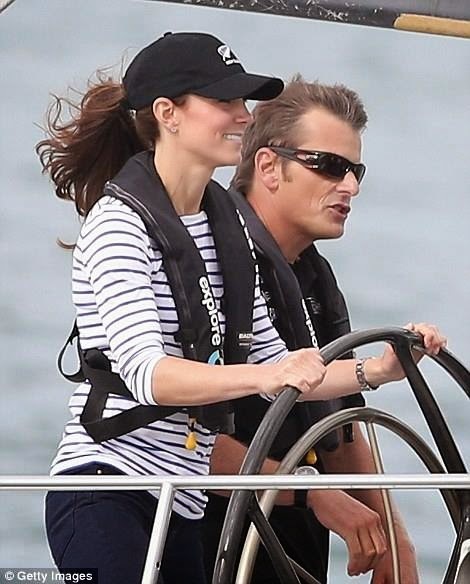 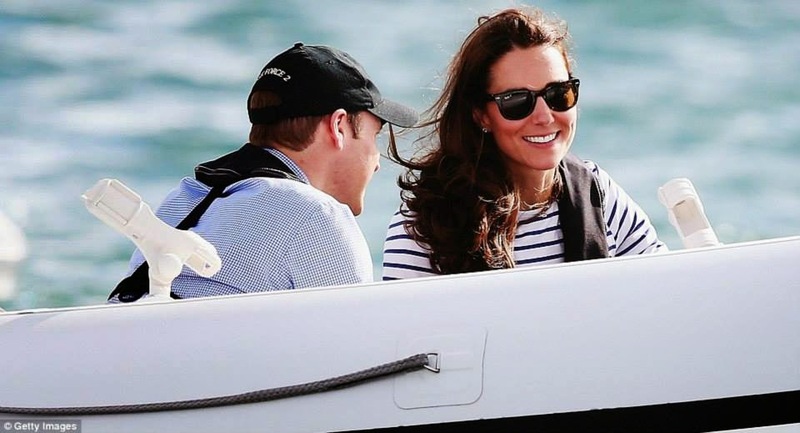 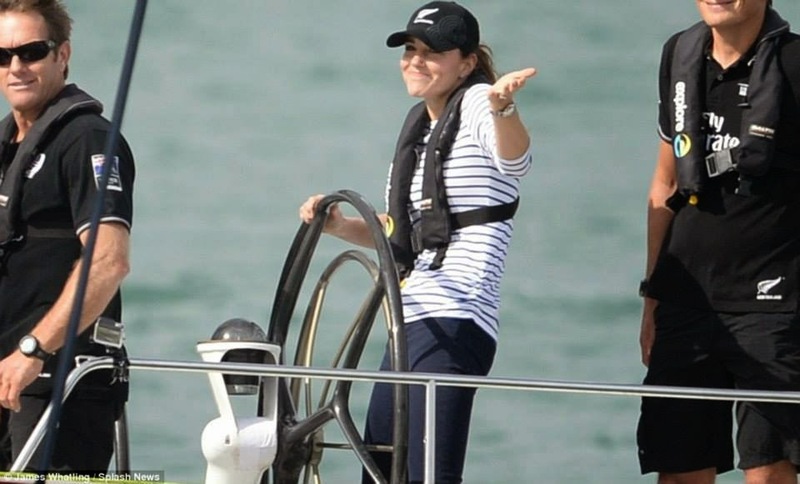 Standing at the wheel of an 80ft America’s Cup sailing vessel, Kate even gave William a cheeky victory salute as she sailed past him back to Harbour. 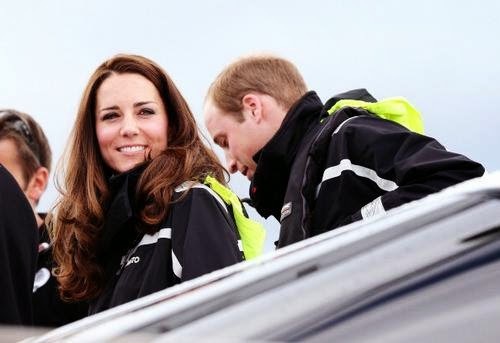 After returning to land, they were back on the water on a Sealegs vessel. 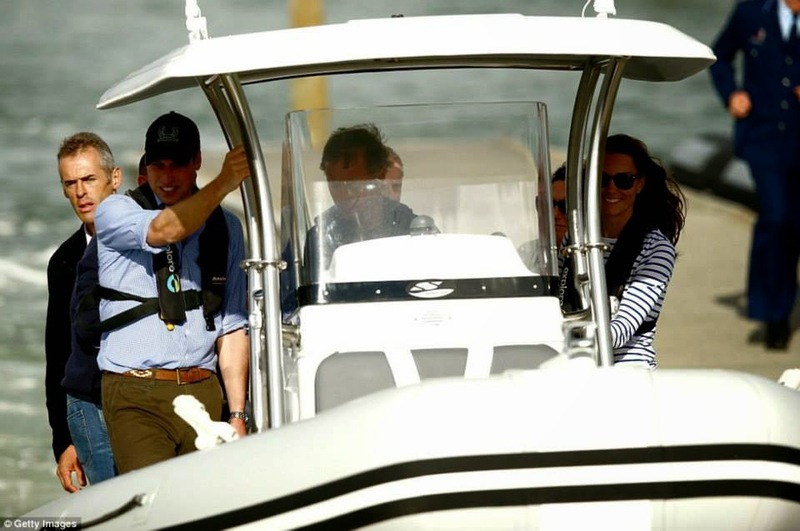 The Sealegs took the royal party to Westpark Marina, where they were transported back to their jet and home to Prince George.